Dedicated, Professional, Trustworthy. John Lazenby has spent over 26 years developing those attributes and other skills that he uses in his day-to-day work as a Realtor®. He is familiar with the entire process of real estate development, home building, community management and home sales. He stays in touch with the market, keeping up with trends and prospects for development and sales. He has learned how to truly hear what developers, builders and customers are saying to better help them find success with their plans, projects, sales and purchases. He has earned the Accredited Buyer Representative (ABR) and the Accredited Luxury Home Specialist (ALHS) designations. In November 2008 he was inducted into the Real Estate Buyer's Agent Council (REBAC) Hall of Fame at the National Association of Realtors annual convention. John was named the Master Custom Builder Council’s Agent of the Year and participated in the Orlando Regional Realtor Association’s (ORRA) “Making of a Leader” conference in 2003. He has received the Orlando Magazine's Realtor of Distinction Award in multiple years since 2005 and has been named to their Hot 100 Realtors of Central Florida Hall of Fame.John has served as Chairman of the Grievance Committee and member of the Strategic Planning Committee for the Orlando Regional Realtor Association (ORRA). He is a member of their Orlando Regional International Council and has participated in the ORRA “Making of a Leader” conference and its Leadership Institute. In 2009 John received the Pillar of the Community Award from the Orlando Regional Realtor Association and was appointed to the Board of Directors of the Florida Realtors. In 2011 he was elected to serve on the Orlando Regional Realtor Association’s Board of Directors for a three-year term beginning in 2012. In 2013 he served as the first Chairman of the Community Relations Committee. In 2013 and 2014 he sat on the Executive Committee of the ORRA Board and served as Vice Chair of Budget and Finance for ORRA. In 2014 John was elected to serve as ORRA's President Elect for 2015 and in 2016 served as the President of the Orlando Regional Realtor Association. He began serving as a member of the Business Issues Committee for the National Association of Realtors (NAR) in 2016. John sits on the Elected Board of Directors of the Florida Citrus Sports Association, has served on the Selection committee for thei Buffalo Wild Wings and Camping World Bowls for 20 years. He served as a team host for the Russell Athletic Bowl (now the Camping World Bowl) for eight years. He also served as a mentor for Florida Citrus Sports’ Take Stock in Children program, sponsored in conjunction with Valencia College and Orange County Public Schools from 2008 through 2013. In 2010 John was recognized as the Florida Citrus Sports Volunteer of the Year. During 2013-2014 he was chosen to participate in Leadership Orange, a program developed by the Orange County Public School system, to inform community leaders about what it takes to educate students in the nation’s 10th largest school district. John was also chosen to participate in Leadership Orlando, the largest leadership organization of its kind. In 2016 he was appointed to the Board of the Boys and Girls Clubs of Central Florida. John has lived in the Windermere community of Keene’s Pointe since 2000, where he served on the Developer’s Advisory Board. He has served as President of the Board of Advisors of the Golden Bear Club and President of the Golden Bear Club’s Men’s Golf Association. John received his bachelor’s degree from the University of Southern Mississippi, where he is still active in the Alumni Association, having served on its National Board of Directors from 1994-1996. He was a founding member of the Business School’s Advisory Committee, received an Outstanding Service Award in 1983 and the Continuing Service Award in 1999 from the Alumni Association. In 2009, John was inducted into the University of Southern Mississippi Alumni Hall of Fame. John has two children - Stacey Malaret and John Jr., and three grandchildren - Madison and Brandon Malaret and Alexandria Lazenby. Carol is a REALTOR® with 20 years experience as a Sales Associate, developing demonstrated skills in Luxury Home and New Home Sales at Celebration Realty, Celebration Realty Associates, and now at Colony Realty Group. She has had her Accredited Buyer Representative certification (ABR) for 20 years. She graduated from The University of South Alabama with a degree in English/Economics. While raising her two sons, she spent much of her "free" time serving on volunteer Boards which supported the Mobile Museum of Art and the Mobile Public Library, and on various school, church, Scouting, and high school band committees. Carol has two sons - Brian and Owen Jacobs. 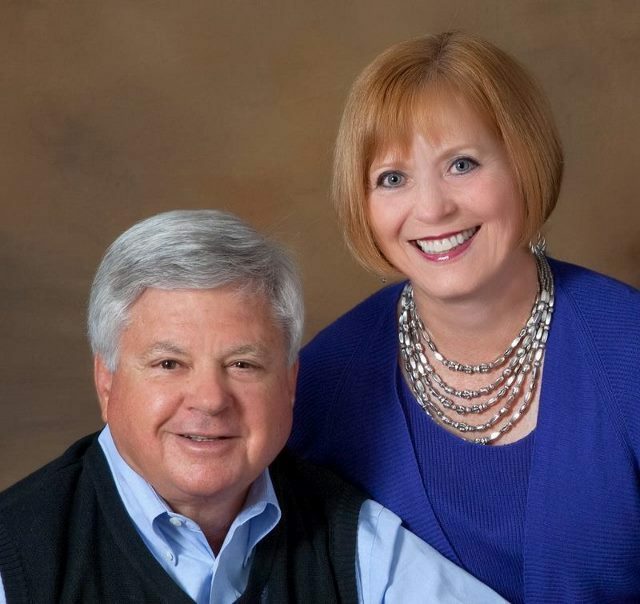 John and Carol have been working as a team since they married in 2000, joining their individual talents and experience to better serve their clients.